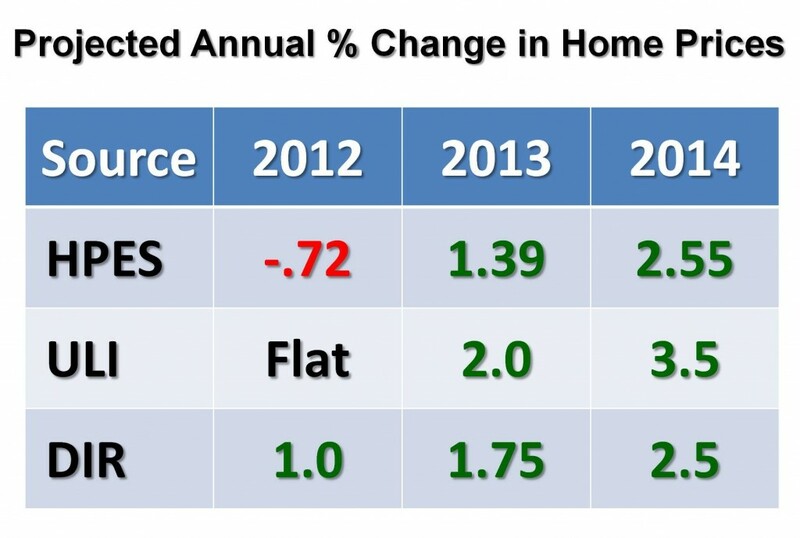 Where Are House Prices Actually Headed? One of the most popular questions being asked of Realtors currently is “When will home prices begin to increase?” Though real estate remains one of the most localized industries recently three national index have announced they believe home prices will begin to appreciate in the next few years. Think of their answer as more tortoise than hare, but remember who won the race! The three separate reports that have been published in the last 60 days: the Home Price Expectations Survey (HPES), the Urban Land Institute Real Estate Consensus Forecast (ULI) and the Demand Institute’s Report (DIR): The Shifting Nature of U.S. Housing Demand.